The following shiur was given by Aliza Bulow (as a stand in for Rabbi Jonathan Rietti) as an aliyat neshamah for Bayla on her Sheloshim. 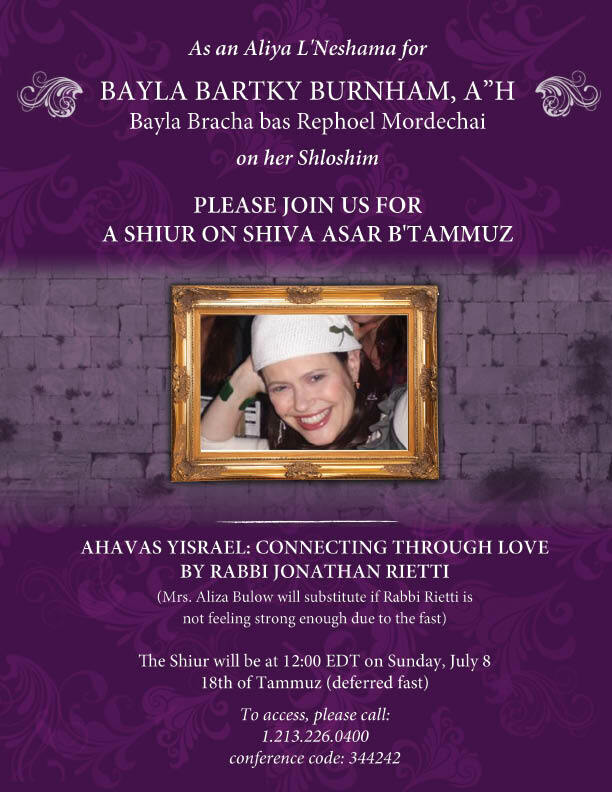 The following was shared by Rebbitzen Faige Twerski shortly after the passing of Bayla Bartky Burnham. It was shared with mikarvot, women who were her colleagues and who struggled to make sense of and find meaning in her loss.